The Google Party Plane Down Under? 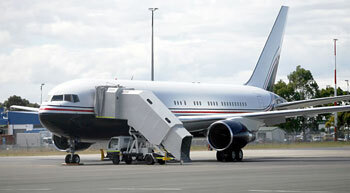 A Boeing 767 reportedly linked to billionaire Google co-owners Brin and Page was spotted at the airport yesterday afternoon. The Press was unable to confirm yesterday whether either of them was on board. forbidding them to reveal details of passengers or their plans. https://lodginginteractive.com/wp-content/uploads/logo-lodging-interactive-2016dark340.png 0 0 djvallauri https://lodginginteractive.com/wp-content/uploads/logo-lodging-interactive-2016dark340.png djvallauri2006-12-31 11:17:092006-12-31 11:17:09The Google Party Plane Down Under? rides, bombed out buildings and kidnappings. OK, the holidays are coming to a close and its time to review the 2007 budget. Do you just repeat last year’s expenses? Have you considered exactly where your business came from last year. Did you think about new market segments? Alright, you’ve done your homework and your marketing funds are committed. Just for the record, how much of your business is coming to you through the Internet? That includes your property website, brand site, 3rd party portals and any other websites where you might be listed or linked. On average the Internet in 2007 will deliver 50 percent of all hotel and resort bookings. And, statistics show that over a third of your off-line, phone or walk-in booking, bookings where a result of information found on the Internet. The fundamentals of how to capture your share of these bookings is simple . . .
(2) Make sure your website provides an informative positive experience for the shopper that will motivate them to book. (On average the Internet shopper does not book during the initial session on your site. The booking occurs within 5 to 10 day afterwards. (3) Invest in search engine advertising or organic search for your property website! It is critical that your website is found on the search engine’s first 3 pages and the brand is not the solution for more than your name and city. (4) Successful Internet marketing demands a full time effort because search ranking is based on website changes, number of pages, report reviews and content updates and keeping up with search techniques and opportunities on the leading search engines. In 2007 you will hear a lot about BLOGS, review websites, peer-to-peer marketing (P2P), podcasts and other evolving personal or community forms of distribution and online exposure. How important are these opportunities? Very, because this is referred to as Web 2.0 or the new Internet marketplace. You need to know about these opportunitities and how to take advantage of them to drive more business. Here again, it takes a skilled person or service to deliver accountable results. No matter what size or type of hotel or resort branded or independent, the Internet will make or break your business. also, as with all marketing investments, be careful and don’t always buy cheap and make sure your service offers accountability. Well another year is coming to a close and it’s been a great year for us here at Lodging Interactive. We’d like to thank all our clients for their business and for helping us grow. We’d also like to thank our competitors, that’s right our competitors, for making sure we don’t stand still and continue to innovate so everyone wins! Merry Christmas and Happy Holidays. Let’s have a better 2007! Google, the search engine company, displaced Yahoo as the world’s second-most-visited Web site in November and closed in on the leader, Microsoft, a market researcher said yesterday. Microsoft, which had 501.7 million visitors, ComScore said. Interesting article about scamming comment cards and hotel reviews. Lodging Interactive offers a hotel website comment card solution which avoids these scams. How can you turn a one-star hostel into a top hotel overnight? completion of its lengthy integration of dMarc Broadcasting Inc.
advertising on radio more efficient and cost effective. you exactly when your ad played." ad budgets will be spent. content, including relevance and accuracy. travelers opt to do business directly with hotel and airline Web sites. Marriott is among the companies seeing growth from that trend.